Showcase your coastal style with the Camp Outer Banks Rug - 4 x 6. 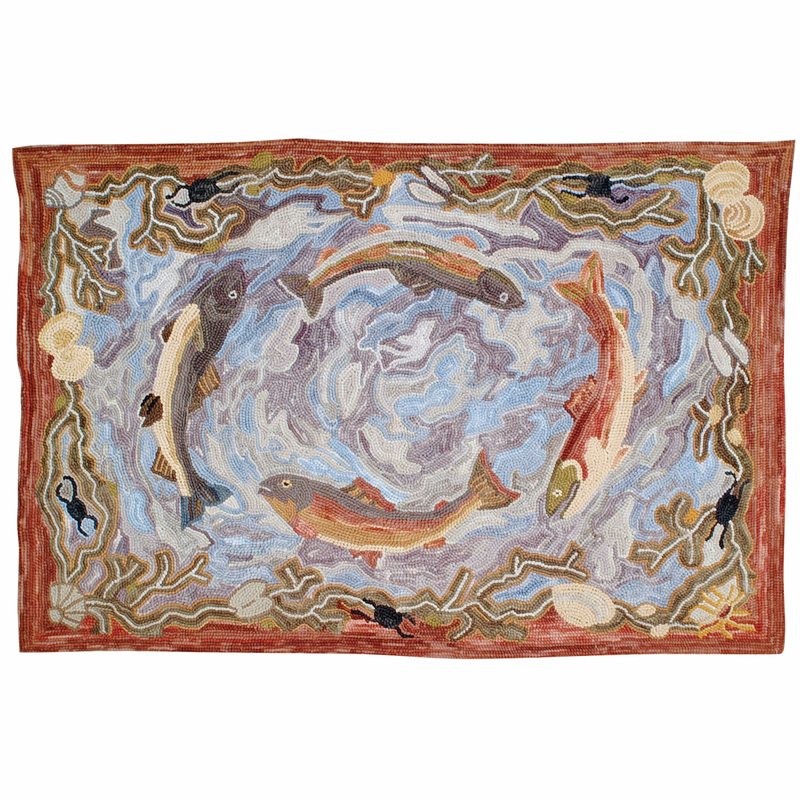 This nautical area rug is designed with colorful fish that seem to be swimming in a lovely coral and shell pool. For additional items, we invite you to take the occasion to look at our comprehensive collection of coastal area rugs at Bella Coastal Decor today.